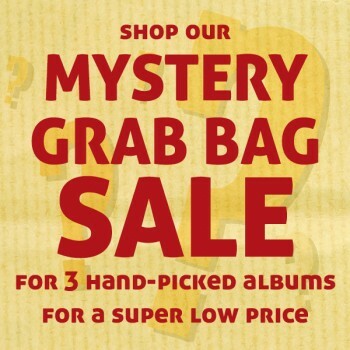 Let us pick out your next favorite record: Shop our Mystery Grab Bag Sale for three hand-picked albums randomly selected for you by our staff of music lovers. Albums will be pulled from our entire catalog of in-print titles, and you can choose your favorite format: Three CDs for $9.99, or three LPs for $24.99. We’ve already started packing them up – watch the video from our warehouse in the player below. The Yep Roc Mystery Bag Sale Is Back!